Home >> Blog >> Diwali Starts November 6th! This year, 2018, Diwali or Deepavali, begins on November 6th and lasts for 5 days. It's a happy time of year and is the biggest holiday in the country of India. Practiced mainly by people of the Hindu faith, many other people enjoy taking part in the festive holiday season,too. During the holiday, there will be gift giving,lighting lamps (Dipa lamps) special sweet treats including Laddus(sweet wheat balls with nuts and fruits inside) and Karanjis (flour fried dumplings with coconut and sugar), praying, getting together with family and friends and fireworks to help welcome the new year. Deepawali means "festival of lights". 1. Diwali celebrates the end of the harvest season. 2. President Barack Obama was the first US president to participate in a Deepavali celebration in the White House, in 2009. 3. “Shubh Deepavali” means “Have an auspicious Diwali “and is a common greeting for this holiday time. 4. Diwali marks the Hindu New Year. It is a national holiday in India. 5. 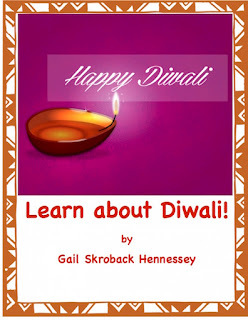 Other countries which have Diwali celebrations include: Australia, Guyana, Trinidad, Nepal(called Tihar), Singapore, Japan, Thailand(called Lam Kriyongh) and the United States.